!!! Attention: The location and program have been changed slightly. !!! To advance science and knowledge, to treat debilitating diseases, but also to improve technology and to generate economic revenue, both the European Union and the United States of America recently announced to invest billions of Euros and Dollars into the neuroscience projects called Human Brain Project and Brain Activity Map. Roughly twenty years after the proclamation of the Decade of the Brain, brain research keeps its priority status for science and science politics. This period of successful neuroscience also affected other disciplines. In particular psychology and psychiatry, but many other fields, too, increasingly reacted to or integrated methods and discoveries of brain research. Based on scientific literature and social network analyses, neuroeconomics was recently called a truly disciplinarily integrated field; many ethicists and philosophers started analyzing conceptual and normative challenges of neuroscience itself or applied neurotechnology. Some philosophers even actively engaged in experimental work. Visions for Neurophilosophy is an international and interdisciplinary meeting on the state of the art of interdisciplinary neuroscience, with a focus on ethics, law, philosophy, psychology, and sociology. Experts from various fields and countries present their views on how neuroscience is relevant to other disciplines or how their disciplines react to brain research. 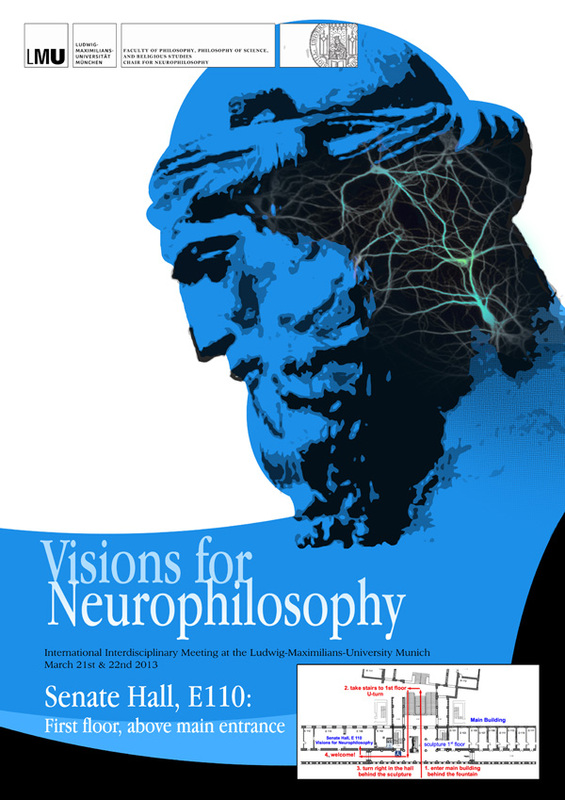 Two discussions are dedicated to the social challenges of neuroscience and visions for neurophilosophy. All scholars with an interest in these recent developments are welcome to participate. Participation is free of charge, but registration via e-mail to registration@neuro-philosophy.info is required; please provide your name, affiliated institution, and main academic area of interest.